I figured it was appropriate since today is the first day of my Imaginary Worlds Fall Tour in conjunction with the release of The Ruins of Noe. The book was actually published in May, but I had to postpone the tour for scheduling reasons. In The Ruins of Noe, Brigitta’s adventures continue when she and her High Priestess travel to the old faerie ruins in the Valley of Noe, expecting to find them deserted. The Ancients had brought all the faeries north after the Great World Cry and placed them in the protected realm, after all. But when Brigitta and Ondelle arrive, they discover two warring factions of oppressed faeries they had never been told about. After Ondelle is captured, Brigitta must figure out who she can trust, so she can figure out a way to save her high priestess and get back home. There are some reviews on GoodReads if you want to check them out. My tour (yay) revolves around several school visits, a writer’s conference, and a book festival. I only have one public reading, though, and it’s at Kepler’s in Menlo Park, CA. So, if you live in the Bay Area, holy cow, that would be awesome to meet you. I am so, so, so in love with this store and its staff. And I haven’t even met them yet. This store was SAVED by its community when it was about to go out of business. The community raised the money to save it and made commitments to shop there regularly. There are four more stops on my blog tour on four great blogs. Reviews, Interviews, and Guest Posts. I love Kate’s enthusiasm for all things writing. I snorked my coffee when I *got* that blog title. Oh, how I relate. Deb is a great supporter of children’s writers and is a writer herself. One stop shopping for reviews, interviews, guest posts, podcasts, flash fiction and more. I’m in this odd in between writings stage at the moment. I still have not finished my Character – Action Workout series, but I’m not in that space right now, so maybe next Friday. I just completed the final draft on INTERGALACTIC and am querying agents with it. I now have to get back into writing Book Three of the White Forest series, which my publisher probably wants to see by the end of the summer. How does one step back into something that she hasn’t been working on for several months? Especially when it’s part of a larger series? It’s time for the Fall Back Exercise. This is the one I turn to several times in the process of writing a story. It’s useful at the beginning, at the end, during rewrites, for writer’s block, and for writing synopses. It’s the aspirin of writing exercises. THIS STORY IS ABOUT . . . When I sent my Intergalactic query letter to my critique partner she wrote back that I hadn’t really told her what the story was about. But wait, I had summarized all the main points of action. The problem is the main points of action are NOT what the story is about. There’s the THING your protag MUST do or else THIS BAD THING will happen. But there’s also the emotional arc to the story. 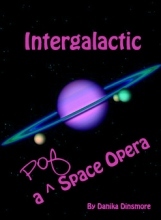 For example, in Intergalactic, idoLL must figure out how to save her band mates and Princess Tarantella or there could be an interplanetary war. But her emotional arc is that she’s got to face her own possible cultural insignificance, swallow her pride, and partner up with her nemesis in order to save the day. She risks losing her fame when it’s all she thinks she has. She risks losing her fame when it’s her entire identity. She doesn’t know who she is beyond the character she plays. Jettison is everything she isn’t and her instinct is to destroy her, not to rescue, defend, or befriend her. IdoLL does all three. Now all I have to do is figure all this out for Ondelle of Grioth. Book Three (!) 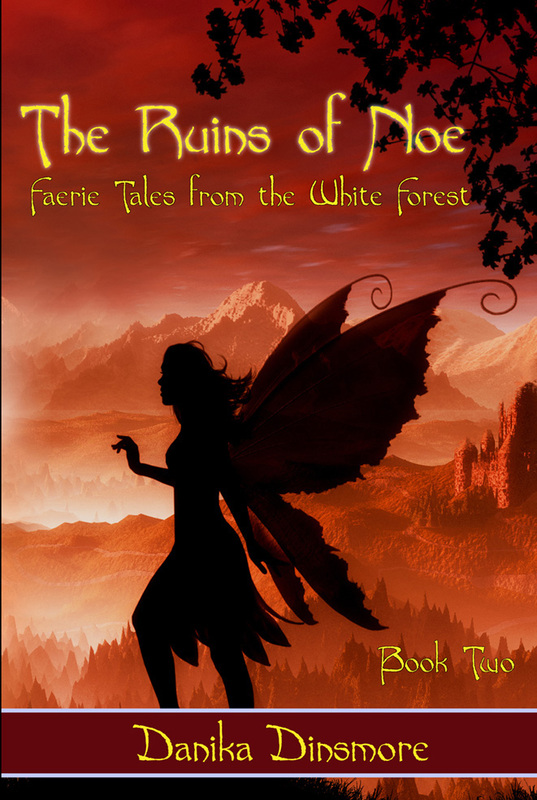 in the Faerie Tales from the White Forest series. When the timer stops, Set your timer for 7 more minutes. 2) In this story, a boy/girl/animal must . . . When the timer stops, Set your timer for 10 more minutes. 3) My protagonist makes his/her greatest sacrifice when . . .
Read your exercises, make notes, highlight what makes sense. NOTE: THE GLITCH AT AMAZON has been fixed. The Ruins of Noe will be available for FREE on Friday, May 4. I have no post for MGM this week about another author’s work. Launching a book turns my regimented (har-har) schedule on its head. 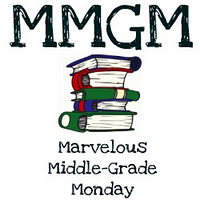 But below I have Shannon Messenger’s list of MGM topics for this week, so please explore! This week I’m dealing with my own MG book, The Ruins of Noe, which is Book Two in the White Forest Faerie Tales series. It officially launches tomorrow (May 1) and I’m feeling ready for a nap. As some of you know, my publisher is offering the ebook version of TRoN for FREE on Amazon the day of the launch. I spoke about the Economy of Free in my last post and it will be interesting to see what happens. I’m sure many of you would like to know . . . do free ebooks actually generate sales? For the next few weeks, to celebrate the launch, I’ll be doing a blog tour. Some stops are reviews, some are interviews, some are guest posts. You can find the Schedule HERE. – The Mundie Moms- Click HERE to see their newest recommendations. – The lovely Shannon O’Donnell always has an MMGM ready for you! Click HERE to see what she’s featuring this week! – Karen Yingling also always has some awesome MMGM recommendations for you. Click HERE to which ones she picked this time! – Gina Carey is wondering at WONDER. Click HERE to see why she thinks you’ll be moved too. – Joanne Fritz has an exclusive interview with author Jerry Spinelli–with a GIVEAWAY. Click HERE to read more. – Barbara Watson is highlighting GLORY BE, with an author interview–and a GIVEAWAY! Click HERE for all the details. – Michelle Isenhoff is raving about one of her childhood favorites: THE BLACK STALLION. Click HERE to learn why she still loves this classic. 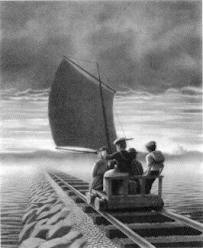 – Brennan and Meyrick Murphy are marveling at PERFECTLY PERILOUS MATH–with an interview. Click HERE for all the fun. – Gabrielle Prendergast is gushing about OUT ON A LIMB. Click HERE to see why she loved it. – Andrea Mack is cheering for a slightly younger middle grade, CINDERELLA (AS IF YOU DIDN’T ALREADY KNOW THE STORY). Click HERE to learn why. – Michael Gettel Gilmarten is highlighting AMAZON: AN ULTIMATE ADVENTURE NOVEL. Click HERE to see what he thought of it. – Riv Re joins the MMGM fun with a feature on THE DRAGON’S TOOTH. Click HERE to welcome her to the group! – Chelanne Green is celebrating 11 BIRTHDAYS. Click HERE to see why. – Rosi Hollinbeck also joins the MMGM fun with a feature on NO-NAME BABY–with a giveaway! Click HERE for all the details. – Julie from “That’s Swell” is back with a feature on THE MAPMAKER AND THE GHOST. Click HERE to see what she thinks! Several years ago I was fortunate to hear Chris Anderson speak at a new media forum. His talk was on The Economy of Free and why this works, especially in our modern world, and why this is a good thing. If you give something of quality away for free, you will gain trust, loyal customers, word of mouth, etc, etc. There’s more to it, but that’s the basic idea. You’ll have more success if you reach the “tipping point” of society – which is where the early adopters’ enthusiasm pushes a product into the mainstream (the early majority). That tipping point is vital. My publisher has been studying this phenomenon when it comes to e-books. Many e-books start off as free, or go free as a special campaign, to gain a reading audience. Amazon even has a special through Kindle Direct Publishing in which you give them 3 months of exclusive e-book rights, and they give you 5 promo days where you can offer your book for free. You can do them all at once, or over a period of time. Hydra House is experimenting with this idea . . . using Ruins of Noe as a case study. The idea of this excites me, but also makes me anxious. It seems counter-intuitive to making a living as a writer. Even when I think about it logically, mathematically . . . let’s say 1,000 people download a free copy of Ruins of Noe. There are still millions of people out there who haven’t. Who may only hear about it because of one of those 1,000 people and word will spread. So what am I afraid of, right? I guess the idea that after 1,000 people have downloaded it nothing happens. Word isn’t spread. Sounds silly when I say it, but I’m sure there are others like me out there who fret over these things, so there you go. And I also have mixed feelings about Amazon. Sometimes I think they’re becoming a monopoly. They’ve cornered a big market, which is also a GOOD thing for writers. We can reach so many people through them. They’re publishing and selling the books, and they’ve also gotten into the film making business. Regardless of this, it’s gonna happen. So, here goes the OFFICIAL ANNOUNCEMENT (sound the trumpets). On MAY 1 Amazon will have a FREE download of The Ruins of Noe. One day only folks, so spread the word. Now, Book One, Brigitta of the White Forest is still $4.99 on Amazon, so this will be interesting. Hydra House is going to look at two things, if Ruins of Noe is accepted and appreciated on its own (i.e. someone reading it who hasn’t read the first book), and if Book One sales (print and e-book) go up. I will keep you posted because I think this is good information for small presses, authors, and self-published folks. And, if YOU have any information from your own experiences, do share!